Welcome! 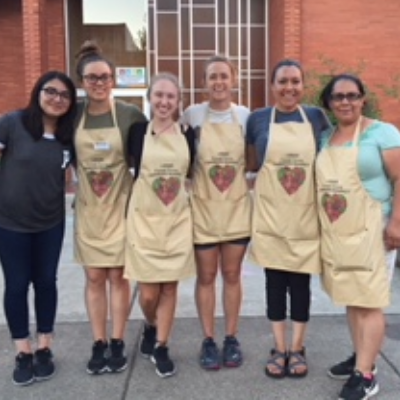 The Forest Grove Farmers Market, a program of Adelante Mujeres, operates May through October with additional indoor winter markets in November and December. Located on Main Street in the heart of downtown Forest Grove, we are a "full service" market offering fresh produce, eggs, meat, honey, baked goods, prepared foods, cut flowers, plant starts, hand-crafted soaps and more! The Market has grown significantly since opening in 2005 and now boasts between 2,000-4,000 visitors each Wednesday. We aim to provide a space for cross-cultural exchange during this family focused community event. Consequently, the market attracts individuals from all age groups, and with diverse backgrounds and experiences. Additionally, the Market is a small-business incubator for Adelante Mujeres sustainable farming program, and small business development programs. We are currently accepting new farmers/vendors and especially seeking those selling: stone fruits, grains, mushrooms, and gluten-free breads. Please read the Market Rules / Reglas del Mercado (English y español) before applying to the market. Dragonfly Bakery, a local delivery baker specializing in desserts and breakfast pastries. Located on Main Street in the heart of downtown Forest Grove, we are a "full service" market offering fresh produce, eggs, meat, honey, baked goods, prepared foods, cut flowers, plant starts, and more! The Market has grown significantly since opening in 2005 and now boasts an average of 3,000 visitors each Wednesday. We aim to provide a space for cross-cultural exchange during this family focused community event. The market attracts individuals from all age groups, and with diverse backgrounds and experiences. Additionally, the Market is a small-business incubator for Adelante Mujeres sustainable farming program, and small business development programs. ¡Bienvenido! Si quiere llenar una solicitud en español o quiere más información, por favor comuniquese con Kaely: 503.992.0078 ex.213. Main Street between 21st Ave. and Pacific Ave. in downtown Forest Grove. 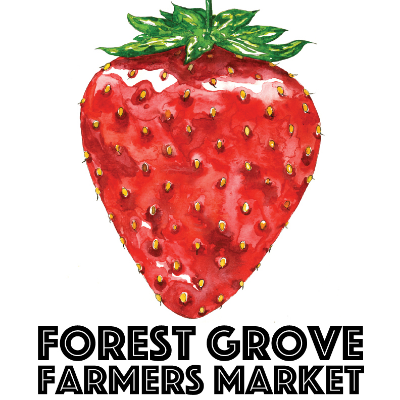 The Forest Grove Farmers Market is a community place where we value collaboration, mutual respect, and good food! We see the market staff, vendors, customers, volunteers and anyone who passes through as part of our big family and strive to be inclusive. From SNAP/WIC matching to Veggie Rx Programs that support our low-income neighbors and farmers, kid's activities to live music that attract a festive atmosphere, we work hard to be make operations run smoothly and have fun!